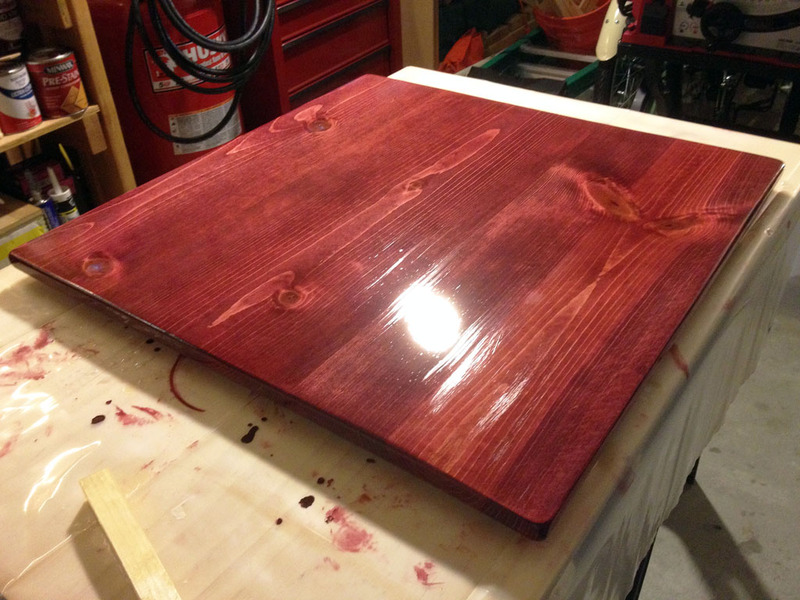 I lightly sanded the tabletop last night and applied the 4th coat of poly. When I checked it this morning there were a couple of dull spots. It looks like I didn’t quite get enough poly on them. It felt really smooth so I think I am going to apply the final coat without sanding first. This was taken right after I put the poly on and it is still wet. The 2 lighter spots next to the light reflection is where it looked dull this morning. 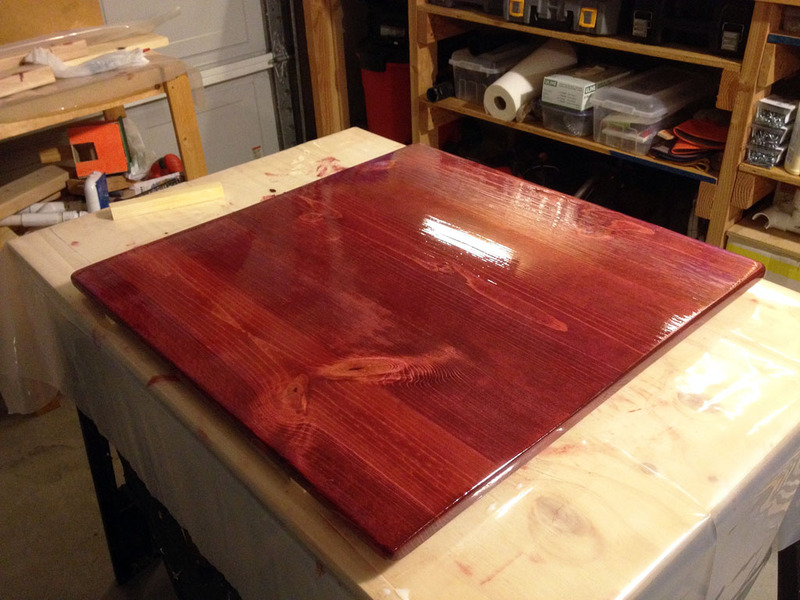 I am going to rotate the piece 180 degree and apply the final coat tonight.